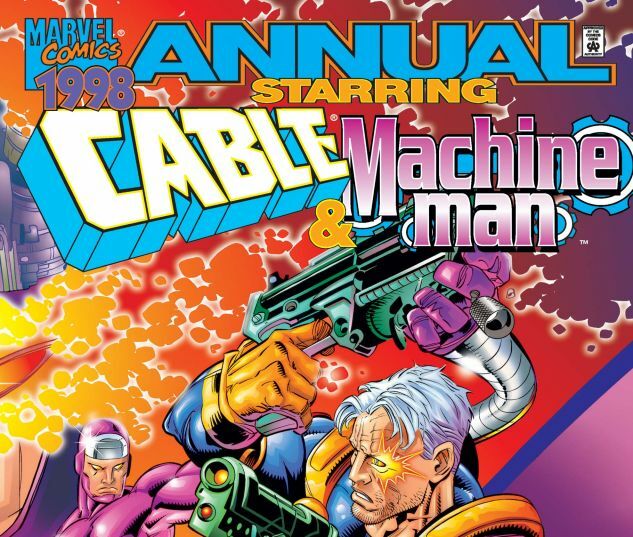 The Askani'son investigates a S.H.I.E.L.D. clinic where the cyborg-esque Bastion is being held for observation. 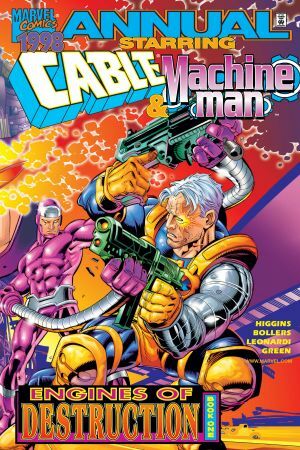 But Machine Man crashes the scene, and he seems to take a distinctly unfavorable view of the mutant Cable! 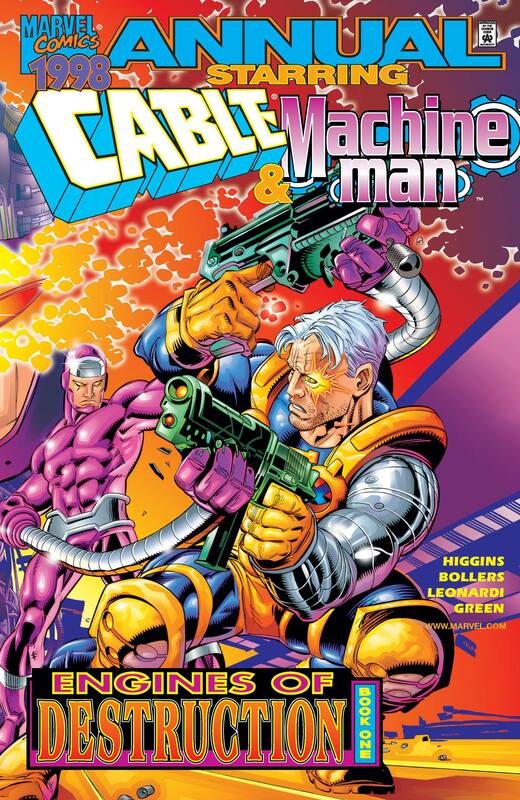 The story continues in Machine Man/Bastion Annual (1998) #1!